“Our time is dominated … by the concept of crisis”1 said recently Pope Francis to the leaders of the European Union. Indeed, in Caritas we know about how the different layers of Europe’s crises affect the most vulnerable people: families in poverty; long-term unemployed who after many years can’t benefit from the so-called economic recovery; refugees and internal displaced due to the ongoing war in Eastern Ukraine; the victims of the high tension in the Caucasus; the tens of thousands of refugees and migrants stuck in Greece and several Balkan countries because European politicians are unable to apply the most basic principle of solidarity (to which – by the way – they committed); fears spreading due to more and more terrorist attacks; Brexit and its impact on migrants and British citizens; the political instability, growing populism and authoritarianism in Europe and worldwide threatening the achievements of decades of solidarity and peace in a larger part of Europe; earthquakes (Italy), floods (Balkans, England,…) and fires (Portugal) adding more suffering to already impoverished regions of our continent. There are humanitarian disasters, poverties and injustices around the world – with challenges in the development aid funding. And Caritas is there, close to the most needed people, to the poor, putting in practice the programme of the Good Samaritan. You know this. 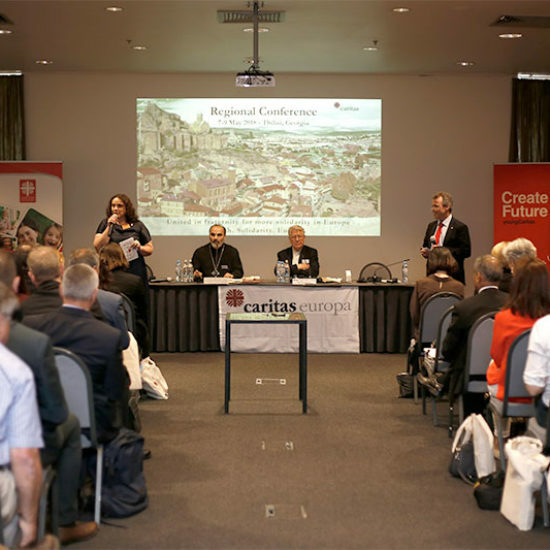 In the Regional Conference 2016 in Lourdes we all lived something new for Caritas Europa, a new collective experience of encounter, of sharing concerns, hopes and spirituality. The poor, the migrants, clergy, the Caritas volunteers, staff and leaders, all shared on equal foot, together as brothers and sisters. All produced there the “grassroots recommendations”, a way to listen actively to the poor. A revised Strategic Framework 2020 was approved in Lourdes. And the “Young Caritas” appeared with passion and fresh wind in the midst of our deliberations. Yes, we committed to invest more in young volunteers in our Caritas family! 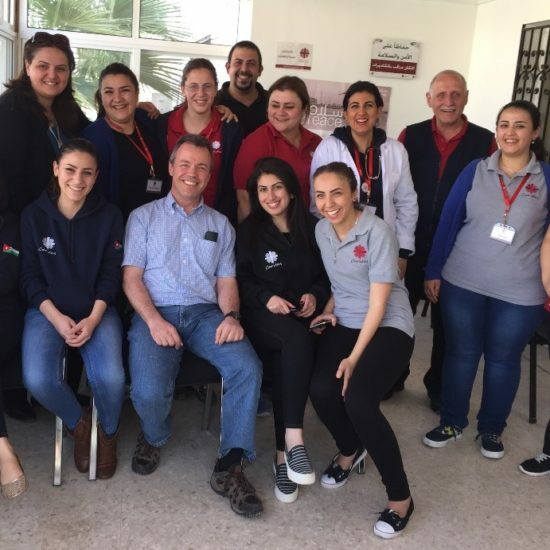 In this introduction I would also like to share a personal experience I had in 2016: one week of volunteering at Caritas Jordan: an intensive experience of encounter in its Restaurant of Mercy, in the services for refugees, being received by the poorest Jordanians. We can learn so much from our brothers and sisters in the Middle East: Caritas is not a job, it is a mission! A big heartfelt thank you to all who gave witness through action, only poorly reflected in this report.